Pollution of waste-water from the cleaning of commercial and special vehicles brings many recirculation systems to their limits, accompanied by substantial losses in process water quality on high volume days. 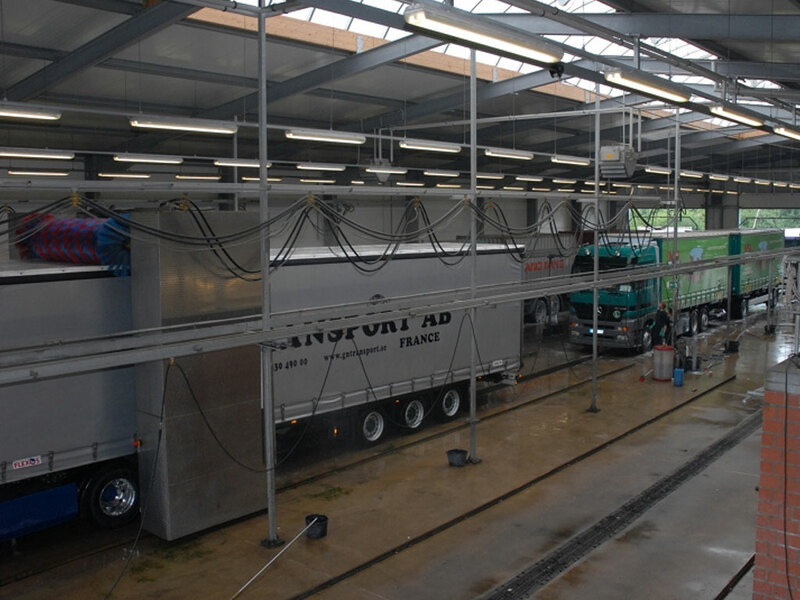 A popular misconception is that Commercial Vehicle Cleaning doesn’t require the water to be as clean as for car washes. 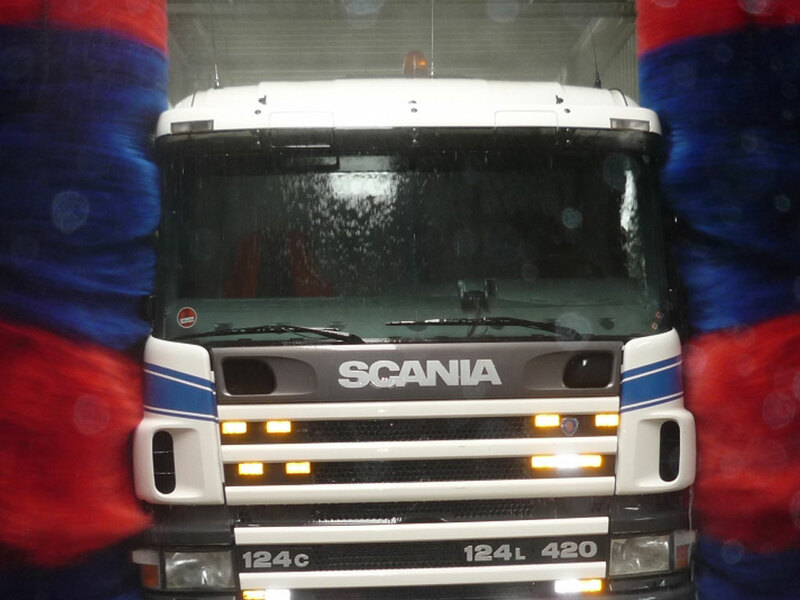 This is a mistake given the high-quality paints and designs of modern trucks and the occupational safety and health issues associated, especially in the cleaning of heavily soiled vehicles. 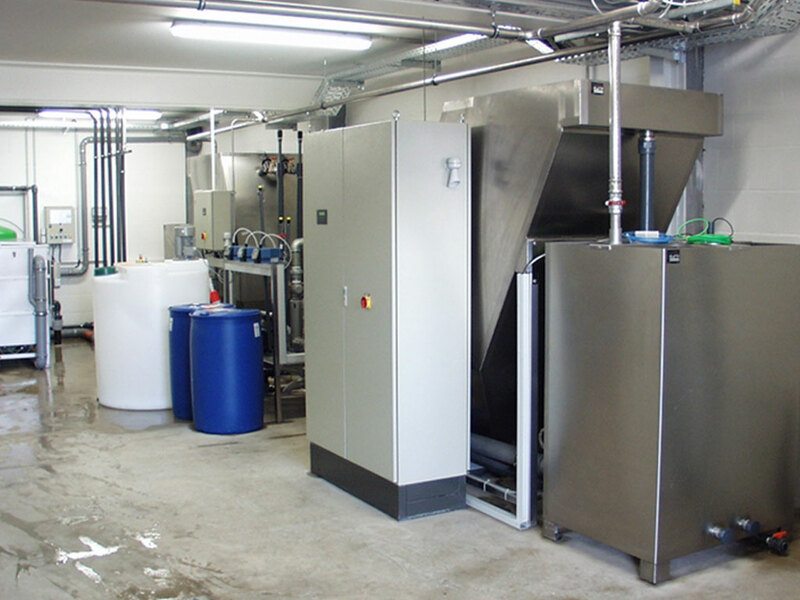 With only minor additional costs a water quality can be achieved which allows even the manual chassis to be cleaned with process water just ask for details. 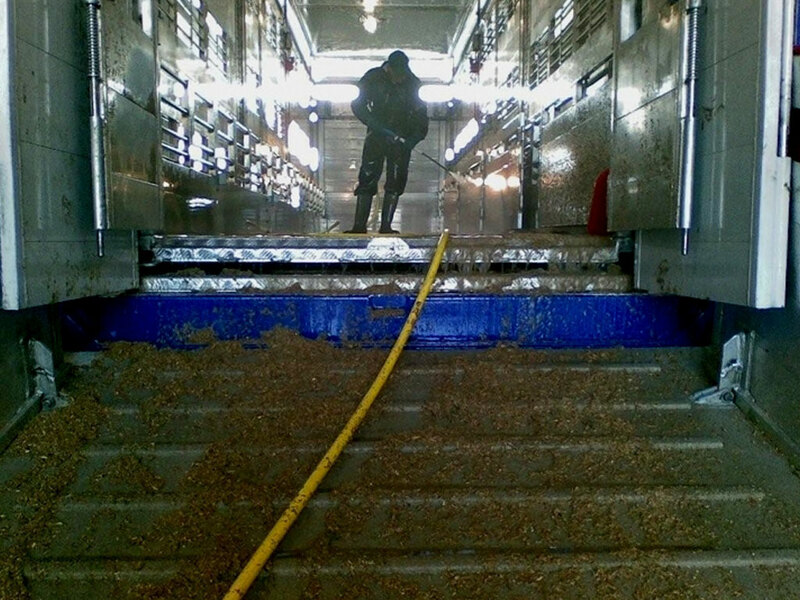 Like to know more about Container & vehicle cleaning, Chemical Transportation and Livestock & Meat Transportation? 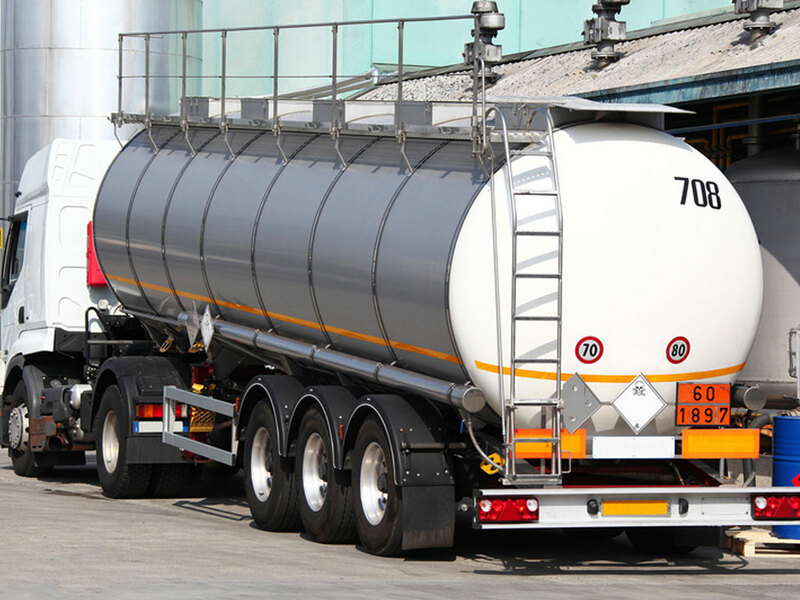 When cleaning transport containers, silo and commercial vehicles complex wastewater can be generated (depending on the goods transported before the cleaning) and the composition of the resulting wastewater can change permanently. Flocculation plants treat these wastewaters by increasing the proportions of chemical residues and solids in the water. These plants demand constant monitoring by technically versed operators and result in a high demand for flocculating agents. 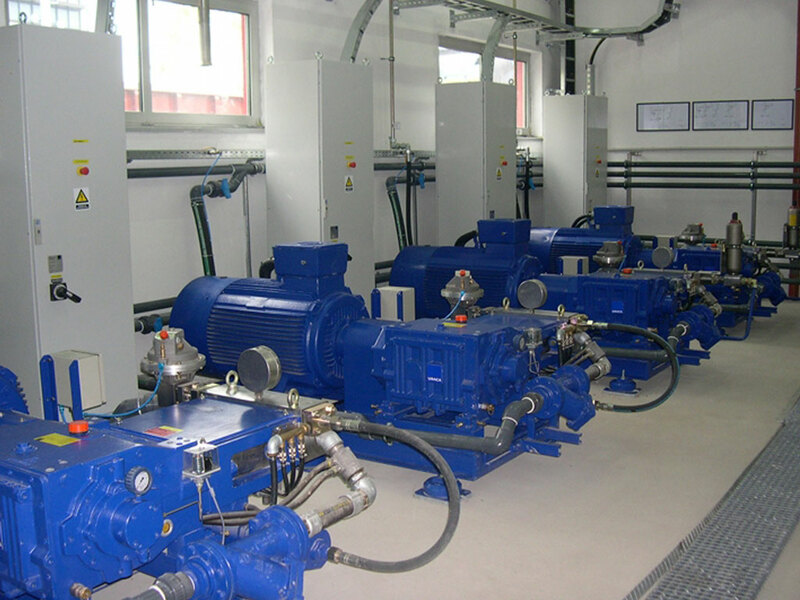 The operating expenses are additionally loaded with the cost of sludge removal. 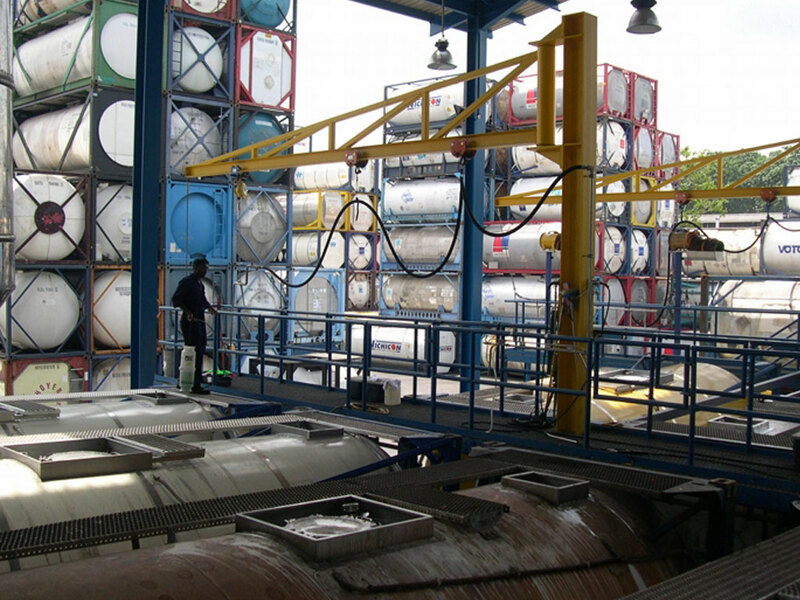 Our solutions open the possibilities to identify the best handling system for your individual cargo profile and necessary cleaning results. 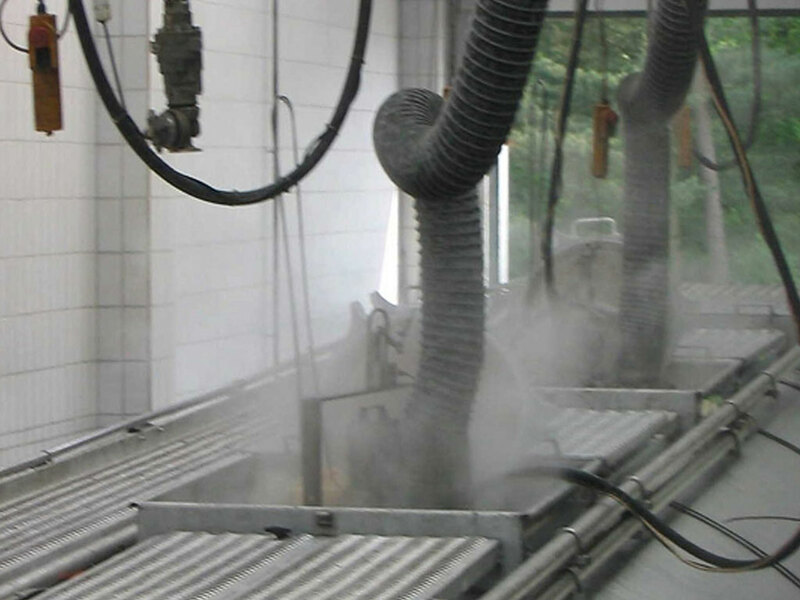 Our wastewater solutions have been successfully operational for years in the diverse domains of silo and vehicle interior cleaning with different cargo profiles. Call for more information and a meeting to discuss your needs. 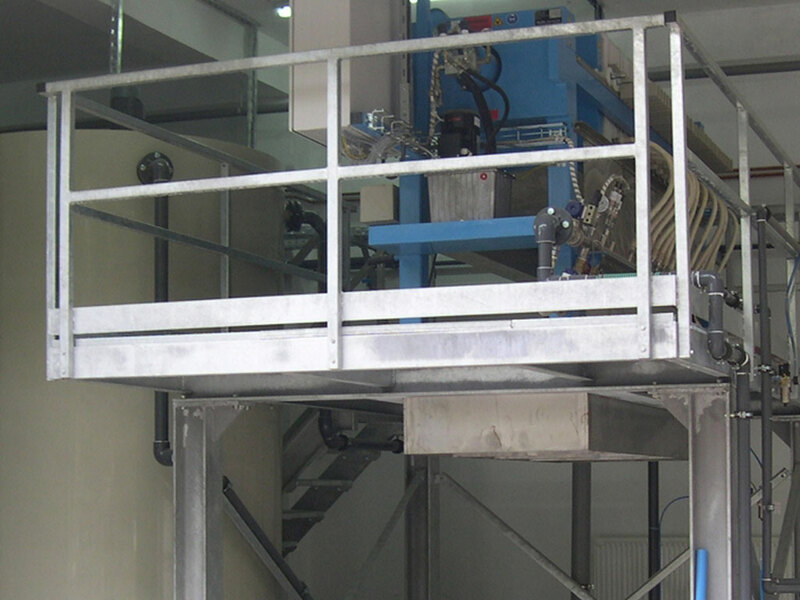 The effluents that accrue in the cleaning process of silo vehicles and containers for transportation of raw materials for the chemical industry, are highly complex and constantly changing. Flocculation, as the prior art of treatment for chemical waste-water does not completely remove all the dissolved, invisible substances. Thus, the residual stresses are evident despite high clarity of the “treated effluent” often being well above the levels applicable for domestic waste-water. The Wasserschmidt System from Columbus UK is a modular treatment system that can handle nearly every cargo-profile and almost any mixture of effluents from Transport of Dangerous Goods class 8 and 9. By using our high-performance bioreactors, the organic residual stress in the purified wastewater is also substantially below 600 mg COD/l, the usual guidance value for domestic wastewater, and eliminates the cost of a heavy user charges on top of the usual sewage fee. Depending on the cargo profile and a corresponding system design the consumption of chemical products for wastewater treatment and sludge production is reduced by up to 85% compared to conventional flocculation solutions. 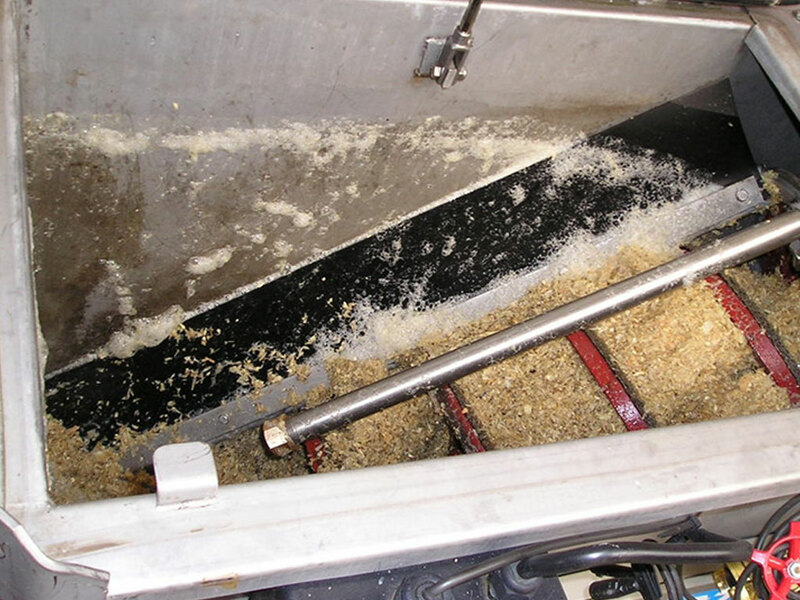 The occurrence of manure and other residues poses significant hygiene issues, not just for staff, but also for appropriate and regulated wastewater treatment. Meat and bone residue can cause hazardous, additional risks to health if the waste-water isn’t handled properly. 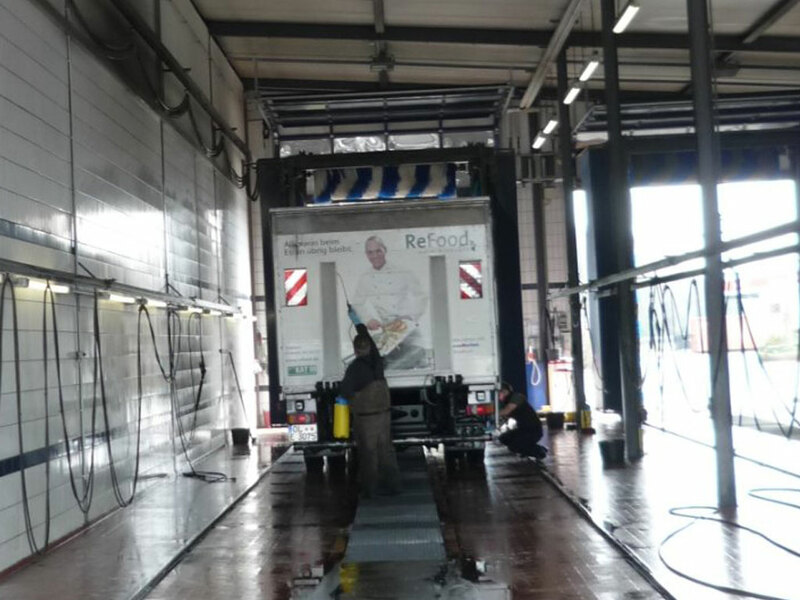 The statutory requirement for mechanical exterior cleaning of these vehicles requires a high hygienic level of process water. In addition the inappropriate use of process water in washing such equipment can lead to negative test sample results from the Local Authorities. 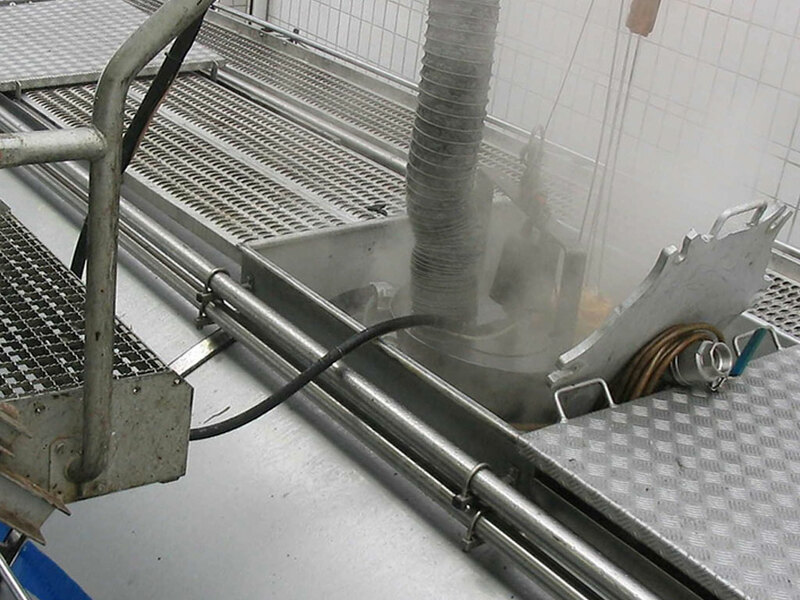 Contact us so you can profit from our experience by aligning the use of process water with the requirements of hygienic vehicle cleaning for everyone’s safety.